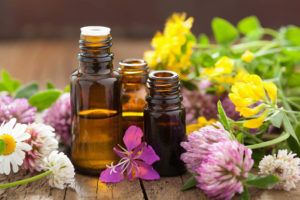 Although the use of essential oils for aromatherapy isn’t new by any means, it has recently taken the world by storm. 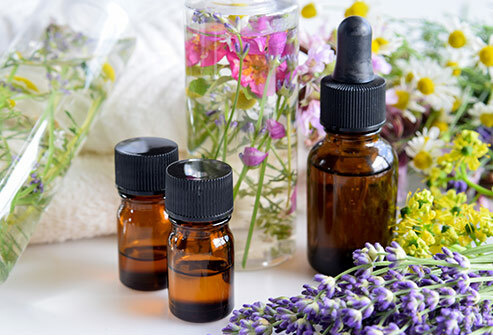 People have been using aromatherapy since the 11th century for medicinal purposes and today, aromatherapy is known to relieve stress, boost energy, improve memory, along with many other health benefits. Some even have anti-inflammatory and antimicrobial properties. So many people, more specifically young women, are enjoying the therapeutic effects of essential oils in recent years. It seems as though the key component to every girls’ dorm room is an essential oil diffuser; so what’s the big deal? Here’s all you need to know about the growing art of aromatherapy. Essential oils are usually extracted from plants or fruits through steam distillation. Specifically chosen plants are held over boiling water and the steam pulls the oil out of the plant by breaking down its cells. Because water and oils don’t mix, the two separate, and the essential oil is produced—voila! When you inhale essential oils, it stimulates the olfactory system of the brain, the part that’s connected to smell. The olfactory system influences the endocrine system and the autonomic nervous system. These two systems control your mood, metabolism, heart rate, digestion, and so much more! If you want to start experimenting with some Essential oils, these are a good place to start! Eucalyptus– Eucalyptus oil is specifically known for its respiratory health benefits. It can help with coughs, colds, and sore throats. Eucalyptus oil’s anti-inflammatory, antiseptic, and anti-phlegm properties work very well to open congested airways and fight the household cold. Lemon/Citrus Fruits– Lemon Balm oil is proven to sharpen memory, increase focus, and boost one’s problem solving skills. Other citrus oils, like orange oil, increase collagen production in the skin to make you appear younger. It can also detoxify the body, increase circulation, and improve skin tone and texture. Peppermint– Peppermint oil works on the digestive system by speeding up the rate of digestion. The oil will alleviate heartburn, indigestion, upset stomach, and gas. Peppermint oil is effective because it contains menthol that relaxes the muscles in the stomach. Lavender/Floral Scents– Lavender oil is widely known to help with sleep issues. Chamomile, another floral oil, also helps with insomnia. Inhaling these oils produce a mild sedative effect on the brain, which makes you feel sleepy. They both relieve anxiety effects for those who suffer from anxiety disorders.